Can homeopathy be done alongside other healing modalities? Homeopathic remedies you can use on your own to support specific chronic issues! Why are homeopaths and homeopathy clients so secretive about remedies for chronic conditions in Facebook Groups? 6 Reactions You May Experience While Using Homeopathic Medicine, and What to do When Your Remedy Suddenly Stops Working! 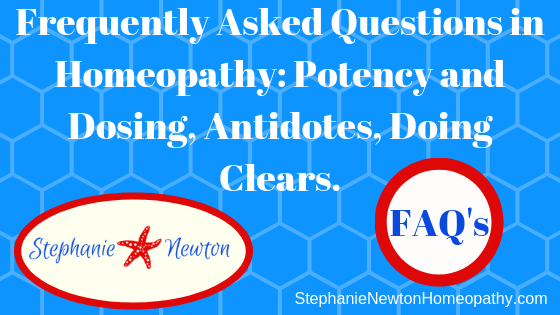 | Stephanie Newton Homeopathy on The Ultimate “Homeopathy Didn’t Work for Me!” Troubleshoot-Guide! Don’t Give up on Homeopathy’s Powerful Possibilities for Your Life!